Because vintage photos are soooo fun! I have a little collection of these that I bought for my wedding reception, and the old film formats turn into amazing prints. They're fairly easy to use, and if you're worried about the giftee not being able to get the hang of it, you can usually find a manual online that someone has scanned for the greater photography good. The important thing is to make sure the camera takes a film format that is still available (110, 120, 126, 127, 620, 35mm). If the description doesn't say, do a Google search of the make and model and see if you can find a resource that tells you. 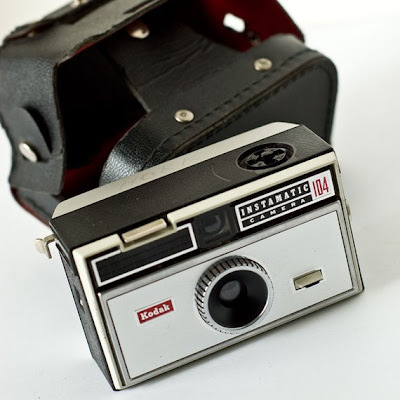 You can find the older formats at Frugal Photographer or B&H Photo, and I highly recommend Blue Moon Camera as a place to get the film developed. Their turnaround time is great, and they're very thorough. 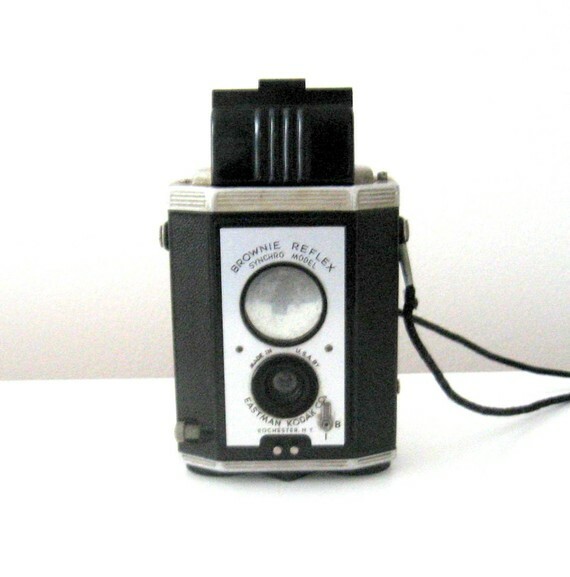 I found the above cameras on Etsy (great source), but you can also find them on eBay and other auction sites. 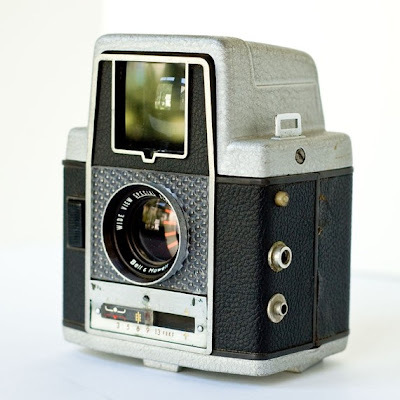 There is a gamble that the camera doesn't function properly, but you can decrease the odds of that happening by buying from someone who seems to know a lot about vintage cameras. If they say it works, then it probably does. I LOVE that you are doing this "25 days" thing!! Such a great idea! !